Becoming pregnant can be a very gratifying experience. But it is not without its challenges. Pregnant women will feel discomfort and other issues during their pregnancy period. Not all of those are out of the norm. Getting educated on the challenges of pregnancy ahead of time could put parents’ minds at ease. WebMD Pregnancy for iPhone is a free application that covers everything moms-to-be need to know to get through the pregnancy period. We have covered a number of WebMD applications here in the past. This one provides you with over 600 articles and plenty of pregnancy tips. It won’t replace a doctor but could provide you with answers to basic pregnancy questions. 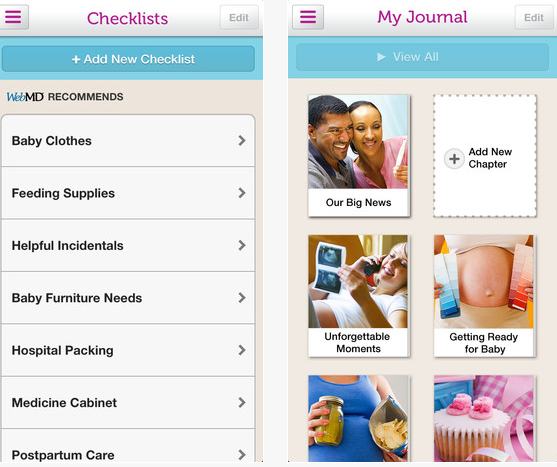 With this tool, you can keep your own pregnancy journal and keep track of your appointments. Tools such as the Kick Counter are handy too. WebMD Pregnancy allows you to keep track of certain body metrics. It has contraction and symptom trackers. It not only contains articles and tips but also videos and quizzes. For a free app, WebMD Pregnancy has a lot going for it.